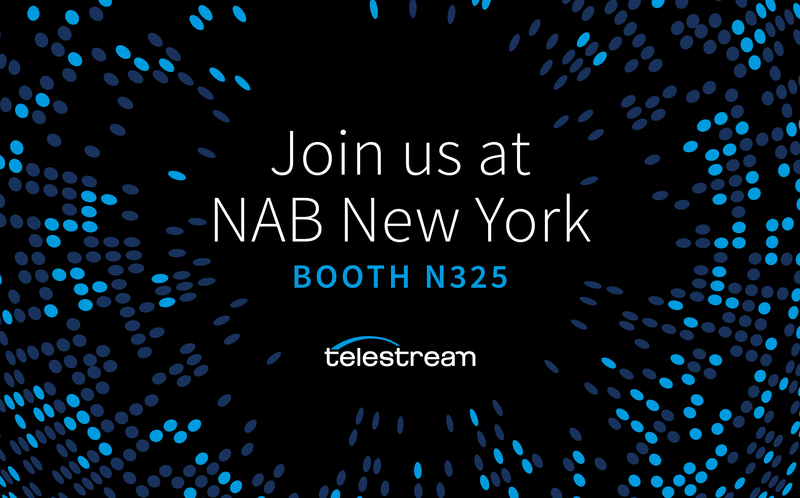 Nevada City, California, October 11, 2018 – At NAB Show New York 2018, Telestream®, a leading provider of digital media tools, will showcase the latest version of Vantage, the company's powerful, scalable, software-enabled media processing platform that manages all media services from the camera to the point of distribution. Vantage allows content owners, producers, and distributors to quickly, easily, and cost-effectively ingest, edit, transform, package, monetize, and distribute their media. Attendees looking for a solution to help them create high quality live-streamed productions, including multi-camera switching, graphics, titles, and live encoding, will be interested in Wirecast,Telestream's cross-platform, all-in-one live streaming production software, as well as Wirecast Gear, a workstation that is fully configured for live event production and streaming (to be showcased on the Broadfield booth, N119). The easy-to-use system allows anyone to broadcast professional live productions in a matter of minutes with a fully-configured system built for live event streaming. Wirecast Gear comes with Wirecast Pro live streaming production software and a professional graphics package. It is ideally suited for marketers, educators, corporate and online trainers, event producers, sports broadcasters, worship service staff, news gatherers and anyone who wants to deliver professional live streamed productions out of the box.